Since your pet can’t speak and tell you when something is wrong, it is your responsibility to ensure their needs are being met at all times. This includes their dietary requirements. Certain foods are most ideal for certain pets. For example, hamsters require specific foods suited to their dietary and anatomical needs. The same goes for varying breeds of cats, birds, and even wild animals (if that is your thing). However, it’s not only species you have to keep in mind—size is as important. The dietary requirements when raising a small puppy would differ to that of a larger dog. We took the time to investigate the technicalities around this notion. Why exactly is it that small dogs require a different kind of food to bigger ones? This guide will help organize your thoughts on the matter. We also selected five competitive food options for your small breed puppy and have compiled a comprehensive review of each, complete with a list of pros & cons. Now you have the information to look after your small dog the best way possible. Although seemingly obvious, giving smaller dog food to smaller dogs is not just necessary because of sizing factors. Rather, there are actual physical and nutritional factors at play that require careful consideration when feeding small adult dogs. The easiest way to understand this factor is by quantity. While puppy food targeted at bigger dogs is fully edible by smaller ones, it’s not fulfilling in terms of nutrition. Feeding your small dog adult-sized food will rob the animal of the vital nutritional elements they need to get out of each feeding. Because most large breed dogs and older dogs tend to eat more, there is less nutritional value present in each pellet. Big dogs will eat enough individual pellets to get ample nutrients in one serving. Smaller dogs consuming those same pellets will not. The quantity of consumption will not be sufficient enough to keep them sustained. This is why food specifically targeted at small dogs is so important. This food will be perfectly made with the right amount of nutrients per pellet so that a single, small serving is of proper proportion. It’s all about ratio. The nutrient to pellet ratio needs to be specifically targeted to the size of the dog in question. Neglecting this fact and continuously feeding your small dog the wrong food will have vast negative impacts on his health. As the body doesn’t receive enough nutrients over time, it begins to shut down. Skin and bone conditions come first, followed by illness and an ever-weakening immune system. 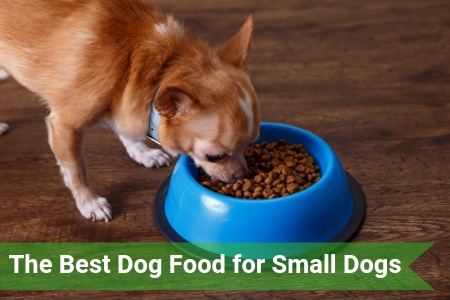 You prevent this simply by picking the right food type, so keep reading to find out the best dog food for small dogs. Nutrition aside, there are physical boundaries that need to be respected in the feeding of your dog. This is more obvious. A tiny dog simply can’t handle the same sized pellets as a full-grown Rottweiler, for example. The anatomy of their mouth and jaws are so vastly different it’s simply not possible. This extends into the potential for physical harm should your dog be eating the wrong sized food. Jaw and tooth damage are not uncommon. Dogs also tend to get excited when food is placed in front of them and have the tendency to overcrowd the mouth. This is dangerous if the pellets are not small enough to fit their small esophagus. Choking can occur as a direct result of this. The size of the pellets should be in direct proportion to the size of your dog, especially it is a puppy. 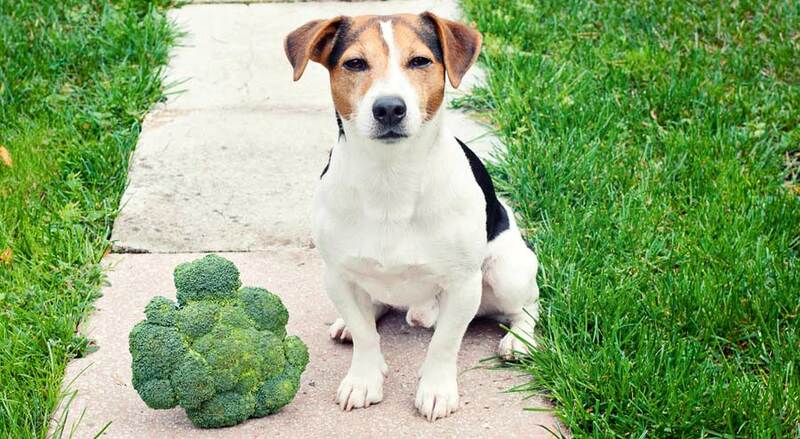 A balanced diet for your dog requires a thoughtful, all-inclusive food. What follows is a breakdown of the five most important requirements in healthy dog food. The level of requirement of each of these will be specific to the life stage of the dog in question. Protein intake is perhaps the most important of dog-related nutrients. It’s responsible for the muscle and bodily tissues of the animal. In order to both develop and heal, sufficient protein needs to be taken in on a daily basis. Protein is made up of amino acids. Dogs naturally produce half of the amino acids they need to survive and the other half must come from their food. 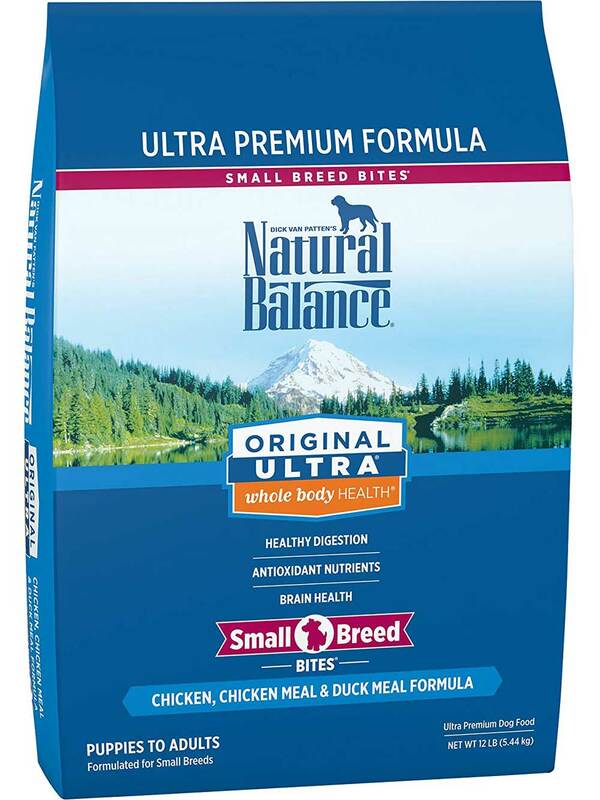 A balanced dog diet involves 18% to 20% protein per meal. Meat and fish are usually added in the process of making dog food as they provide high levels of natural protein. The easiest way to get vitamins is through fruits and vegetables. Most dog foods contain compounds of these as manufacturers’ solutions to vitamin requirements. Minerals are a bit different. Minerals are necessary for dogs to prevent deficiencies which can lead to disease. Minerals such as calcium, magnesium, zinc, iodine (to name a few) are baked into dog pellets using mineral supplements. As with nutrients, these mineral levels need to be directly proportionate to the size of the dog in question. Too much or too little can be fatal to an animal. Again, like humans, dogs require a certain amount of fat present in their food in order to create balance. Fats not only provide great flavor for the animal but also help produce energy that gets your dog through the day. Fats are the main ingredient that maintains your dog’s healthy skin and a shiny coat. 10% to 15% of each feed should be made up of fats. These are usually found in oils or the physical fat of animals and are added according to feeding proportions. Fats are also found in high doses within dog treats. This is why it’s so important to ensure that an animal which is consuming treats regularly, is also getting regular exercise. If not, the fats aren’t being absorbed or distributed properly and can be harmful to the dog’s health. Carbs make up 50% to 70% of each feed. This is necessary to promote proper digestion. Dogs are omnivores and have the ability to transform carbs into energy. So, aside from fats, carbohydrates will keep your dog active for longer. Dog food manufacturers usually get their carbs from oats, barley, wheat, and corn. Some forms of carbs have the added benefit of also being a source of fiber. While dogs don’t necessarily need fiber to survive, it’s always welcome to aid digestion. Some brands of dog food make use of alternative sources of carbohydrates instead of the usual wheat and barley. Starch and squash-based vegetables offer large amounts of carbs & manufacturers find ways to incorporate them into dog foods. These foods are, however, usually more expensive than others. None of the above has any value if your dog’s diet doesn’t involve sufficient water consumption. It's necessary in order to consume and digest all of the aforementioned elements. Water is essential for dogs to properly absorb nutrients, eliminate waste and regulate body temperature. A balanced diet is not complete if water isn’t always available to your pet. There is much to be gained from providing your dog with food that is appropriated to its size. Since the well being of your pet is probably something you think about more often than your own, we probably don’t need to mention any of the following. However, if you’re not yet convinced, let’s summarize to prove the value of the items we’ll review below. First and foremost, your pet’s health is on the line. If something as simple as food choice with the right ingredients could keep your dog out of a vet’s practice for the rest of his life, you’d likely never misfeed him again. We are here to tell you it can be that simple. While high-quality dog food by leading dog food brands can’t protect your dog’s exterior, their insides can be clean, healthy, and functioning all year round should you put some thought into their food. Grain-free dog food with fewer calories, natural protein sources, and ingredients that lead to fewer food allergies are the things people should look for who own small breed puppies. What’s more, suitable feeding can drastically increase the lifespan of your pet. Whether wet food or dry food kibble, dogs with healthier diets are known to outlive animals who were never given the right nutrients throughout their lives. Since we know your pet’s happiness is of utmost importance, then feeding should constantly add to that too. They can’t tell you, but finishing up a balanced, hearty meal is one of the most enjoyable experiences for any dog. By including food that was thoughtfully manufactured based on their dietary needs, this level of enjoyment will be at its peak. For a dog, life really is about the simple pleasures. Their once-a-day meals might as well be good ones, right? They deserve it! This is not considered too often, but food safety is as important for dogs as it is for humans. Dogs, too, have teeth and jaws that can ache & crack. Feeding your dog pellets that are designed based on their chewing capabilities keeps them safe from any harmful encounters while eating. You don’t want the pellets hurting their intestines or the teeth and gums themselves. Too much damage could lead to them not being able to eat anymore. Food that is the wrong size for your dog’s jaw can cause this damage over time. It can happen instantly or over time. Grinding down of the teeth in order to eat will result in long-term damage as opposed to one big, sudden break of a tooth on a pellet. To put it in perspective, imagine the rage you feel when strangers attempt to feed your dog the wrong things. Are you sure you’re doing it right, though? With dog food, the damage can happen slowly and silently. Rather, choose right from day one. 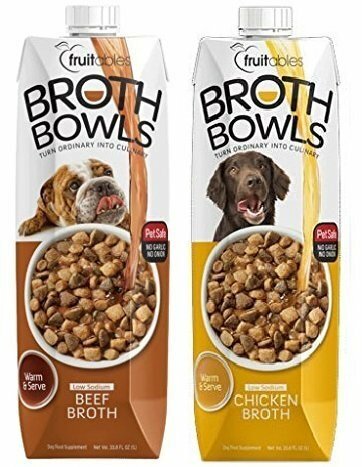 We love dog broths because there are no physical food pieces involved in the contents. That means no chance of hurting a dog’s mouth or intestines. This veggie broth is to be poured over your small dog’s everyday pellets. Not only does the broth contain all the necessary vitamins and minerals needed per daily serving, but it also helps to soften the pellets being consumed. This is worthwhile as it lowers the risk of jaw damage that can occur when small dogs eat hard foods. Veggie broth also encourages dogs to lick their food rather than gulp it down in large portions. This promotes better digestion and eating habits as the animal will take its time on a meal. While dry food is fine as a meal, there is nothing wrong with making the said meal a bit more enjoyable where possible. These broths come in a range of flavors. 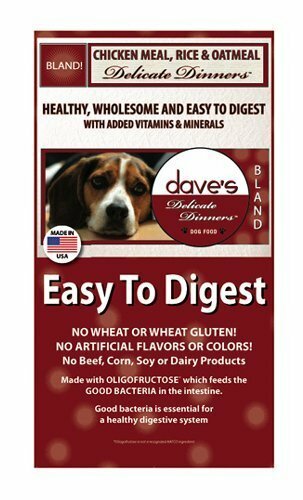 These meals by Dave’s are targeted at small dogs with notably weaker stomachs. There are no artificial colors or flavors in these meals, just pure nutrient based ingredients. Each one is made up of a chosen protein and carbohydrate. These two in combination create a balanced meal for your dog. The brand prides itself in the fact of their meals being particularly bland so as not to disturb the stomach of the dog consuming it. Often, rich foods can cause incredible problems in the belly of a dog and leave them both in pain & discomfort after each meal. To humans, the word bland can be off-putting. When it comes to dog food, it shouldn’t be viewed this way. It’s entirely preferable for some animals to consume bland foods rather than flavor rich ones. Earthborn has created this food with dogs 20lbs. and under in mind. Each serving is made to include the exact amount of protein, carbs, fats, and vitamins required per day. No more, no less. 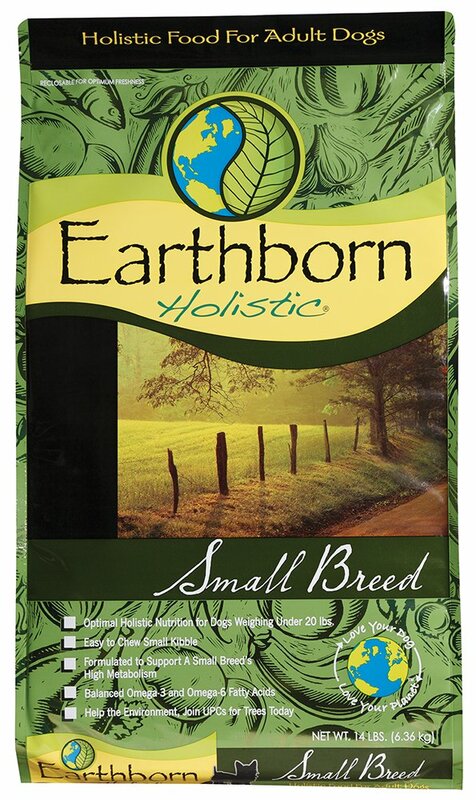 We love this food by Earthborn because they use only organic and sustainable produce where possible. This prevents them from consuming any unnecessary toxins that your dog may absorb from other, less thoughtful food brands. 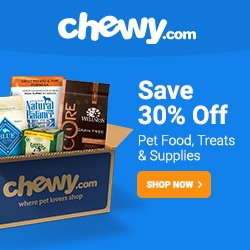 The food is also designed to promote the maintenance of a lean, energetic body in your pet. Your dog will have the energy of two meals a day through the physical eating of just one. Quite remarkable! It’s not common to find a brand of dog food that makes use of potato as a key ingredient. Most other brands get their carbohydrate fills from wheat, corn, and barley. Natural Balance does things a bit differently and provides their carbohydrates through potatoes. They do so through both regular and sweet potatoes. This blend by Natural Balance is a combination of sweet potato and fish. This provides a balance between both protein, fat, and carbs. Vitamins and minerals are added as supplements. The food is dry but you can add any additional toppings or broth if you so desire. This, however, is a taste-oriented brand of food and is not overly bland. It can be enjoyed with or without added extras. This food by Nutro has lifespan as a priority. The brand’s foods are designed based on including the optimum amounts of minerals in order to extend a dog’s life as much as possible. Omega-3 is a big part of their ingredient compound in order to keep immune systems high and energy levels balanced. Another great element of this food is that the pellets are designed to remove plaque build-up on the teeth of the dog. This is a great way to ensure dental hygiene by simply feeding your dog daily. 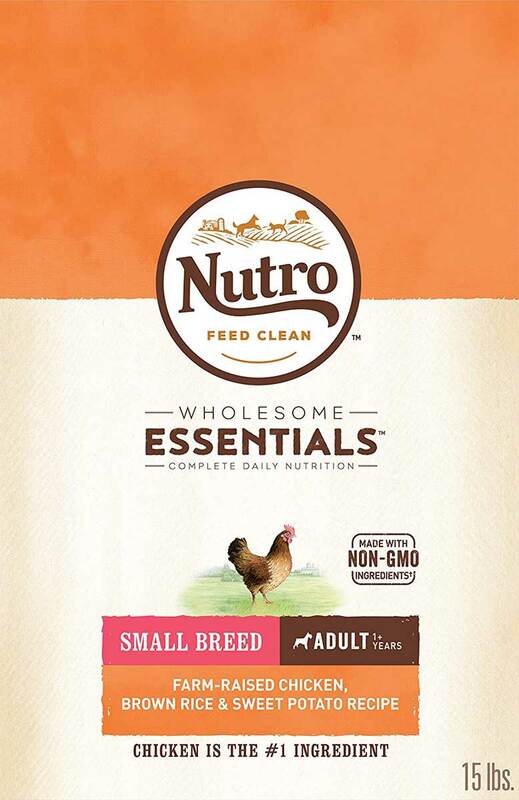 Nutro gets their carbohydrates through rice and oatmeal grains. These are significantly easier to digest when compared to corn and barley. The food is gentle enough to be consumed by both puppies and dogs up to 20 years of age. This is very impressive! Does a bit more information help? No hard feelings if you were simply misinformed and not aware of this before now. The dog food industry can be confusing with so many options! Now that you know the importance around selecting the appropriate food for your size of the dog, you can go ahead and make the transition. Dog food is a thing to be enjoyed daily, without risk or damage to the consumer in question. For the sake of the health, well-being, safety, and the lifespan of your best friend, make the call. If your dog could talk—he’d thank you for it!